If you are on your first step to becoming a domestic goddess but don't know where to start, fret' not. We have a handful tips for you. 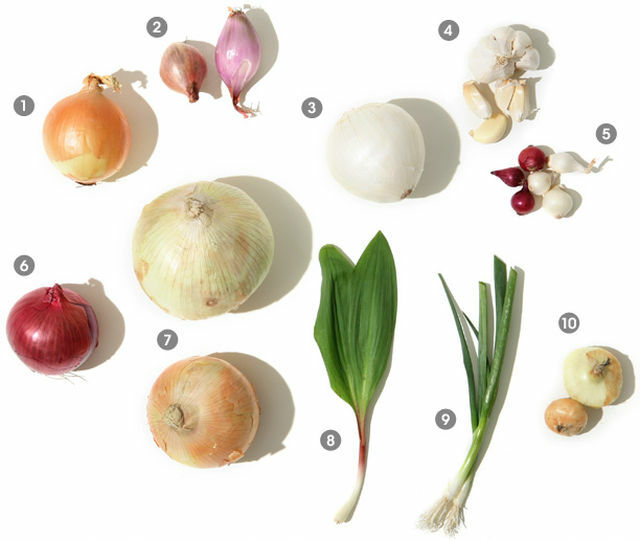 To start off, we have the ultimate guide to onions! Onion is one of the main ingredient to add flavor in your cooking. Once you master the use of it, you have traveled half the journey to be a domestic goddess. Let us put all the jokes aside and get to the point. The yellow onion is one of the best onion to use. It can be cooked in anyway and with anything you wish. It adds sweetness and crunchy texture into your cooking. Best way to cook: stir fry. Shallots are another versatile onion that you can cooked with any dish. It is more flavorful that the yellow onion and brings out the richness of your cooking. Deep fried shallots can be served as garnish on top of your cooking. Best way to cook: fry. The white onions are the younger sister of the yellow onions. It has lighter taste and less in flavor compared to the yellow onions. It is more often used in stir-fried vegetable dishes and lesser in meat dishes. Best way to cook: stir fry. Garlic is another multipurpose type of onion. Compared to all the onions, it has the most pungent taste. It can be eaten by itself and added into cooking. It can also served as garnish when deep fried. Best way to cook: fry. It has a raw sweetness and often made into pickles or added into salads. Best way to cook: none... eat it raw! Probably the zestiest onion of all kinds. It can be eaten raw, often added into salads, burger, sandwiches, etc.. Sometimes you find it on top of your pizza as well. Best way to cook: none... eat it raw! As the name suggested, it is sweet by itself. Best to be eaten by itself - make it into onion rings, add it in your kebab or make it into sweet onion sauce. Best way to cook: fry, stew and soup. Not to be mistaken with green onion, the spring onion has a little purple on its stick. Spring onions are not meant to be cooked due to the lost of taste. However, its mild flavor makes it good to be used as garnish. Best way to cook: none... eat it raw! The green onions are also known as scallion. It can be cooked with anything as herbs. Chop it finely and add into your dish before cooking. Best way to cook: anyway. Cippolinis come from the family of white onion, thus sharing the same sweet taste. Grilling, roasting and baking will bring the best of taste of cipplinis. It is a better onion to use in stew as well. Best way to cook: roast.